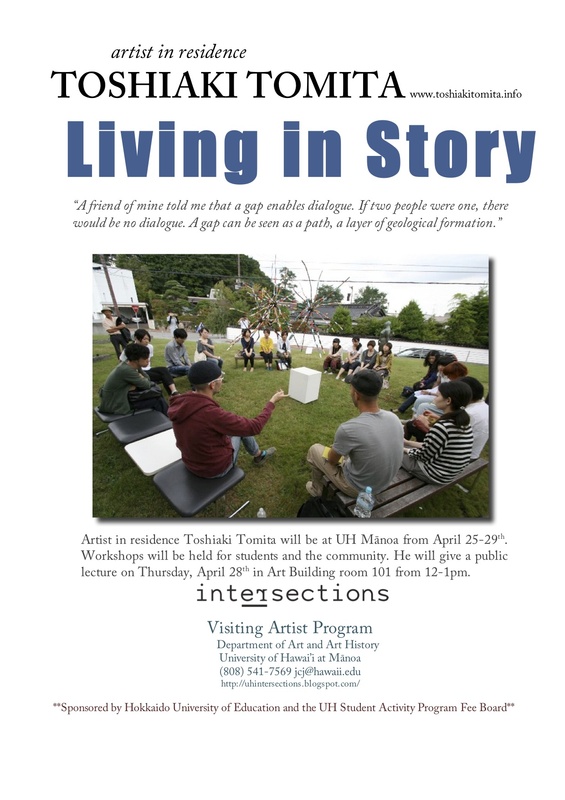 I am organizing a visit by socially engaged artist Toshiaki Tomita at the end of this month on O‘ahu. He will be collaborating with local groups, schools and individuals during his stay in Honolulu to make new artworks that will be part of his latest magazine project titled “Living in Story.” We are planning for a number of walks including a night stick walk done with candles, drawing on plates that will be used in a performance with food and sharing family photo albums with discussion of the tragedies in Tohoku. 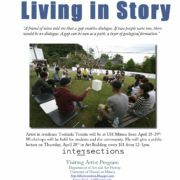 He is being graciously hosted by the Intersections Visiting Artist program at the University of Hawai‘i and will be in Honolulu for the last week of April before going to big island for the first week of May. He will give a public lecture on Thursday, April 28th at the UH Mānoa Art Building Room 101 from 12 noon to 1pm. Please come by or contact me if you would like to get involved in this creative project!